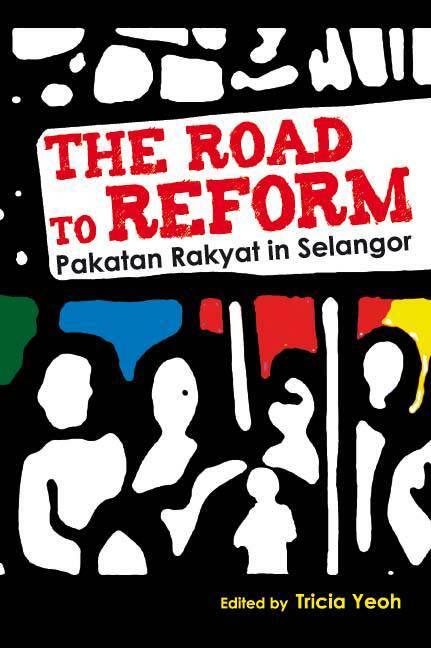 Below is an excerpt from The Road to Reform: Pakatan Rakyat in Selangor. The book that was launched on Sept 27, is a collation of articles written by 22 authors on the achievements and difficulties of the Pakatan state government since taking power 18 months ago. COMMENT The social policies of any government are obviously coloured by its political philosophy and what it understands as its role as a government in relation to its citizenry. Pakatan Rakyat emerged as the ruling coalition in Selangor on the back of rising discontent towards the BN state government which was seen as increasingly arrogant and burdened by cases of blatant and open corruption. Intolerant policies towards religious places of worship with obvious racial undertones were another important factor. With that as the backdrop it is logical to assume that the mandate given to Pakatan was to establish a clean and responsible government for the state of Selangor which would act fairly towards all races and religions. And such was the promise made during the campaign period. However, putting things right when taking over from a corrupt administration is not limited to structural or procedural reforms. It includes changing attitudes and mindsets and as such it cannot be expected that the objectives will be fully achieved in a short time. Nor can a change in attitudes and norms be forced upon society. It has to be handled with care, slowly unravelling fears and prejudices, as well as misinformation and induced apathy, which had sustained the previous establishment in power for decades. that the government is merely an administrator of this wealth and is responsible for its effective and efficient administration. * Good governance entails the provision of basic necessities at minimum cost especially for items like water which is a God-given asset to the state. * Assisting the poor and the disenfranchised irrespective of race and religion. * Assisting the old, the handicapped, victims of broken homes and re-establishing strong family values. * Developing the potential of the young of all races. * Upholding the values of justice for all and respect and tolerance for all religions. * Undoing racialised and racist attitudes which had been the cornerstone of the previous administration. * Framing proper and planned development with the objective of enhancing the quality of life for all. * Laying the basis of a responsible government with emphasis on competency, transparency and accountability. A range of new social policy initiatives have emerged that reflect the Pakatan government’s values and philosophy. This policy of free water for every metered household for the first 20 cubic metres was mentioned in the election manifesto of the earlier Barisan Alternatif. It hinges on the belief that the government must ensure the supply of basic necessities at minimum cost. This is especially so in the case of water which is a God-given asset. It is also in stark contrast with the privatisation policies of the BN which systematically attempted to turn every basic necessity into a cash-cow for its cronies. The current free water policy costs the Selangor state government about RM10 million a month as payment to the BN-appointed concessionary has to be made. A serious attempt is being made to alter the existing arrangement with respect to the water concession so that this basic necessity can be provided cheaply to citizens. In the meantime the state government is ‘hanging tough’ in opposing the price increase which was specified in the concession agreement designed by BN for its cronies. When taking over from the previous administration it was noted that efforts to assist the poor and disenfranchised were minimal and not considered a priority. Records and statistics on the poor were incomplete and far from satisfactory. Policies with clearly identified objectives and target groups were also not present. Political affiliations were always an important consideration for any form of assistance, monetary or otherwise. The new administration put forward a new definition of poverty for Selangor where a family with a combined household income of below RM1,500 per month is defined as being ‘poor’. Subsequently various programmes have been undertaken which necessitated the proper and up-to-date recording of the ‘poor’. Within a few months much important data were accumulated and processed. These programmes have included the following initiatives. * Financial assistance to families of the poor during Ramadan, Hari Raya, Chinese New Year and Deepavali. Similar assistance was given during the restart of the school year and school shoes and bags were also given out in addition to a financial contribution. Much of this was undertaken by the state and parliamentary representatives who used their state allocation for such programmes. 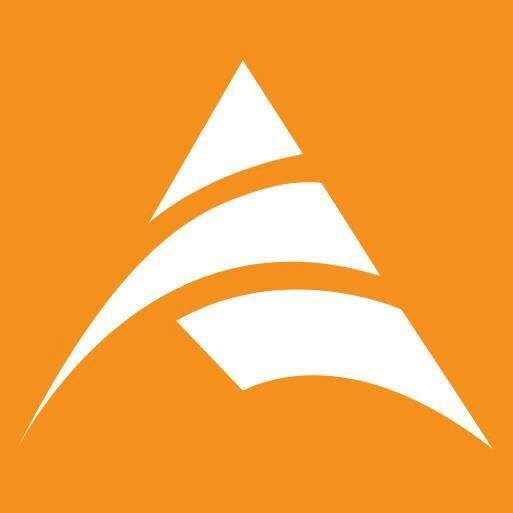 * Free tuition programmes for school children from families who could not afford to pay tuition fees. This programme was initiated in late 2009 with each state assembly person asked to identify at least one location in their state constituency to initiate the programme. * A one-off financial contribution of RM1,000 to every student from a poor family who manages to secure a place in a local university. This programme cost the state government RM 7 .7 million in 2009. * A fund was set up to assist the children of estate workers who were identified as the most disenfranchised community in the state. This happened when the estates were sold to be turned into townships and these workers lost not only their homes but also their livelihoods. They were thrown into a new environment with no means of making a living, with no retraining or assimilation programme being set up and this led to their current status. This obviously in turn led to various social problems and by identifying them as a disenfranchised entity with a special fund set up for their development, it is hoped that their problems will be effectively addressed. In this manner they will also be assisted to readjust to their new circumstances. The state government also finances the building and maintenance of hostels for the children of estate workers. For 2009 the total amount used to assist the children of estate workers amounted to RM2 million. One-stop crisis centres for assisting victims of broken homes, particularly battered wives, were set up in 37 of the 56 state constituencies. These centres provide legal consultation, infrastructure, counselling and motivational services. A second phase is planned to concentrate on efforts to educate the public about the incidence of domestic violence and ways to handle it. The handicapped have also been provided with various forms of financial assistance and given priority in certain allocations. A standard car sticker for the handicapped was issued throughout the state which allows people with disabilities access to facilities at carparks and other benefits. Accessibility for people with disabilities has also been implemented in all new government buildings. Opportunities have been given to them within government working teams, and local councils have representation of people with disabilities. Elderly people were provided with an allocation termed usia emasthrough which any individual above the age of 60 is to be registered and upon his or her death the family will be provided with financial assistance of RM2,500 for burial services. For 2009, the state spent RM15.6 million on this programme. By January 2010, more than 22,000 people had registered for the scheme, more than 40 percent of the total number of senior citizens in Selangor. The effort to strengthen family values is being assisted by the state government implementing laws which show that the family is both a priority and an asset. This includes 90-day maternity leave plus 14-day paternity leave for staff in the employment of the state government. This sends the message that the state acknowledges and understands the needs of newly-born babies and does its own bit to assist the families. At the same time, when a husband passes away the widow is given 30-day compassionate leave so as to have enough time not only to grieve and come to terms with her loss but also to be able to settle all matters arising from the death. All the above policies are aimed at accentuating family values and assisting those with specific difficulties to stay true to their loved ones. Strong family values will have a positive impact on social problems as many of these problems arise from the weakened role of the family. The development of the full potential of young people is being addressed by creating a fund called Tabung Warisan Anak Selangor (Tawas), a state government investment and insurance fund through which an account is opened in the name of every new-born Selangorian, irrespective of race or religion with a RM100 deposit. When the child reaches the age of 18 years the account, inclusive of the dividends earned, will be opened to assist in the pursuit of higher education. The amount available to the teenager then would be RM1,500. In 2009 there were 15,802 approved applicants and RM1.342 million has been paid to participating banks to date. At the same time greater emphasis is now given to upgrading the quality of pre-school education. The state government assists in ensuring the availability of proper premises and emphasis will also be put on the training of the teachers. Pakatan strongly believes in the fact that the young of today are the leaders of tomorrow and as such the question of proper education for the young is given the priority it deserves. As noted earlier, widespread opposition to intolerance and racial prejudice was a factor which led to the Barisan Nasional’s downfall in Selangor. The Pakatan government acknowledges the problem by putting aside a sizeable contribution for religious and vernacular schools. The allocation can also be used for use by places of worship which have been maintained purely through contributions from devotees to date. The religious and vernacular schools have never received any form of financial support from the state governments of the past except in the form of one-off contributions as and when it suited them. This indifferent treatment was meted out not only to vernacular schools but to the Islamic religious schools known as Sekolah Agama Rakyat as well. The Pakatan state government has since given allocations to Tamil and Chinese schools as well as the Sekolah Agama Rakyat. Together, currently a total yearly allocation of RM14 million exists for the purpose of financial support for all such educational institutions. Support and assistance from the government is proof of the religious and racial tolerance practiced by Pakatan. It is looked upon as a matter of basic human rights which must not only be respected but encouraged. It is hoped that through this action Selangor society at large will be induced with the kind of tolerance and mutual respect which is a fundamental requirement of any multiracial and multireligious society. All the policies which seek to establish social justice are based on merit rather than race and party affiliation. All the poor, irrespective of race and political affiliation, receive assistance. All the old, irrespective of race and political affiliation, are given their rights. All the social institutions, such as religious and vernacular schools, receive an allocation. This is in stark contrast to race- and party-based assistance programmes of the previous BN administration which, while denying the right to assistance of those in need merely because they are of the ‘wrong’ race or political group, did much to instil racialised and racist values within society. The policies of the Pakatan administration looks upon the whole rakyat as its responsibility, irrespective of colour and creed and it is hoped that through example, society at large will learn to respect and tolerate the differences which exist in Selangor. It is hoped that the Selangor of the future will be one that has become free of the race-tinted inflections of the previous administration. While implementing these policies and educating the public through its justice-based policies as against race-based approach of old, the Pakatan administration has not forgotten the need to bring about development to the state. Various programmes have been undertaken to ensure that the quality of life for Selangorians will be improved. This is done by ensuring a more efficient and responsive administration at the local council level through which existing facilities are better looked after and maintained while at the same time working on new areas of development. Current concerns of the state administration include the question of public transport and the rehabilitation of rivers. This is planned for implementation through the ‘Pakej Rangsangan Ekonomi Selangor’ or the Selangor economic stimulus package launched in 2009. The Malaysian public has never been encouraged to demand a high quality performance from the government. Politically they have been taught paternalism – to value peace and harmony, special rights for certain groups and to be grateful for whatever that comes their way. As such, no matter how badly the government performs and no matter how many scandals are uncovered, the public is taught to conclude that at the very least we are living in peace and this would be threatened if BN were not in power! Such was the level of political propaganda among the general population. By contrast,Pakatan attempts to educate the public to be more discerning and critical, to know their rights and demand quality performance from the government of the day. Its leaders continuously remind the public that they are in power because of them and are to work for the people’s benefit and with their interest at heart at all times. It must be accountable and transparent in all its dealings. Its performance is to be evaluated and if it falls below the expectations it is not wrong to elect a different government in the next general election. Transparency and accountability are further attained by empowering the general public through public hearings by use of the local council sponsored Majlis Perwakilan Penduduk (Residents’ Representative Council) for matters pertaining to local council administration. For state affairs, the newly formed Select Committee on Competency, Accountability and Transparency (Selcat) attempts to achieve a similar objective albeit in a different form. The role which is demanded of the Pakatan state government is not merely to implement good social policies but also to enable the rakyat to understand that these policies are the kind which they have a right to demand and expect from the government in power. The old destructive values which inculcated mistrust and suspicion amongst the races are to be slowly but surely eroded and the unity of the rakyat on the basis of justice, mutual trust and respect is to be fostered. There is always room for improvement. For example, there should be a regular review of the social policies implemented by the state government on the effectiveness and success of each programme. Such an evaluation would be useful in measuring the extent to which these programmes have assisted targeted groups. Understandably, it is difficult to make a precise measurement as to the efficacy of how each programme manages to reduce poverty within selected communities, given the lack of data generated by the federal government. This could be overcome by doing surveys on how recipients of state government programmes feel about how the aid has assisted their livelihoods, if at all. In addition, although it is clear that these policies are meant to alleviate the conditions of the poor within the means available to the state government, more could be done to empower them with a special focus upon human capital development and training programmes, as these ultimately assist in lifting people out of abject poverty. Such a unique combination of social welfare-driven policies would propel the new generation of young Selangor citizens towards being empowered for the future. It is important to note that research being conducted by academics or organisations studying poverty should be incorporated in the Selangor government’s considerations of new policies and programmes, since research can help to identify key geographical and community areas to work on specifically. Such collaboration with universities, think tanks and other similar interest groups within civil society would be useful for the state in both the conceptualising and implementation of its social policies. It is hoped that the political re-education undertaken, through the implementation of social policies, will finally put to rest the narrow-minded and bigoted politics characteristic of BN and usher in a new kind of politics based on justice and equality. 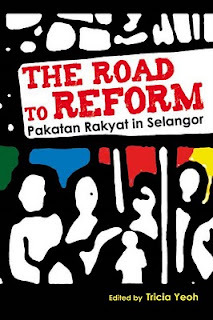 ‘The Road to Reform: Pakatan Rakyat in Selangor’ is a book made up of a collation of articles written by 22 authors on the achievements and difficulties of the Pakatan state government since taking power 18 months ago. KHALID SAMAD is MP for Shah Alam and a member of the PAS central political bureau. After studying fuel and energy engineering at Leeds University, he worked for Petronas before setting up his own company and becoming actively involved in PAS. He was detained under the Internal Security Act for nine months after ‘Ops Lalang’. Not all selangor citizens understand English. Buat apa nak reform selangor sedangkan selangor memang dah maju? Kalau selangor ni mcm kelantan then aku setuju nak reform. tolong..kalau reform utk liberal kan selangor aku tolak. selangor aman dan damai sebelum 2008. Alhamdulillah, semoga Kerajaan Selangor sekarang terus memerintah dgn baik sempena amanah yg diberikan oleh rakyat negeri Selangor. selangor maju tak bermakna tak perlu reform. kalau kerajaan sebelum ni mengamalkan rasuah, korup, kronisme, penyelewengan, tidak adil, kita perlu reform. alhamdulillah kerajaan pakatan berjaya membuktikan yg mereka jauh lebih baik dari kerajaan barisan(konon nya satu2 kerajaan yg mampu bawa kemajuan). bodoh gila compare kelantan ngan selangor..
compare la dgn pahang ke, terenganu ke, pelis ke. ngan terenganu kelantan lagii kaya. buat stadium runtuh, masjid xbleh smayang, monsun cup. dgn pahang pun lebih kurang. mujur ada rmai cina kaya. nampak la GDP banyak sikit.